Through the years, treatment for pattern baldness has improved dramatically as technologies improve to create minimally invasive solutions for hair restoration. As you consider treatment for a receding hairline in the Long Island, Queens, and Brooklyn areas, you will want to know about the most innovative hair transplant options available to you so that you achieve the most natural-looking results possible. This article will outline some of the various methods and technologies for treating hair loss in both men and women so that you know how to seek the best possible care for your needs. When you think about hair transplantation, you might envision the somewhat primitive process of Follicular Unit Transplantation, which is a surgical procedure that uses follicular units harvested from a strip of the scalp that is completely removed. In addition to a visible scar along the back of the head that will limit the possible range of hairstyles patients might wear after surgery, FUT comes with a long healing process that can be avoided with the more refined procedure of Follicular Unit Extraction. FUE, or Follicular Unit Extraction, is a minimally invasive technique for harvesting donor hairs that are then placed in areas affected by pattern baldness. Patients have minimal discomfort, and there is no visible linear scar left behind from the procedure. 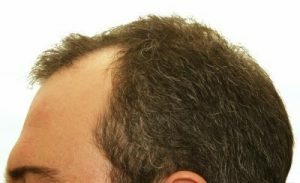 The final result of this procedure is overall more natural-looking, and it may be even further improved with the use of robotic hair transplantation. Traditionally, FUE is a manual procedure that uses a specialized tool to remove grafts from donor areas of the scalp. The ARTAS Robotic Hair Transplant System uses the same principles as manual FUE, but it is able to select higher quality grafts with optimal spacing in between.